Outlier just launched their Merino Wool preorder. You know the drill by now. Hand made in NYC from premium merino wool, which is more environmentally friendly than cashmere and wont stink like hell after you wear it day after day after day. The cut is lean and minimal, long raglan sleeves give a full range of motion when riding. The back is extended to keep you covered when riding and the large three panel hood can be worn over a helmet. 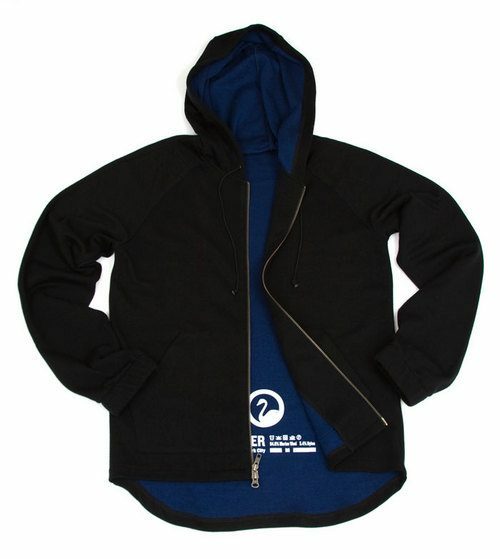 The fabric is 95% superfine merino wool, with a small amount of nylon mixed in for added durability. Available in Black, Charcoal Gray, Rich Blue, Light Gray and Army Green. Made in NYC. Ships late April / early May. Limited edition, 15 per color only. and head over to the site for nice, full-res imagery.